For a few years, we had talked about getting a canoe and finally in the spring of 2013, we pulled the trigger and made our purchase. We had pretty well settled on the Clipper brand as we know many people who have them and a lot of good things are said about the brand. When it came time, we found we were down to either the Yukon or the Tripper. 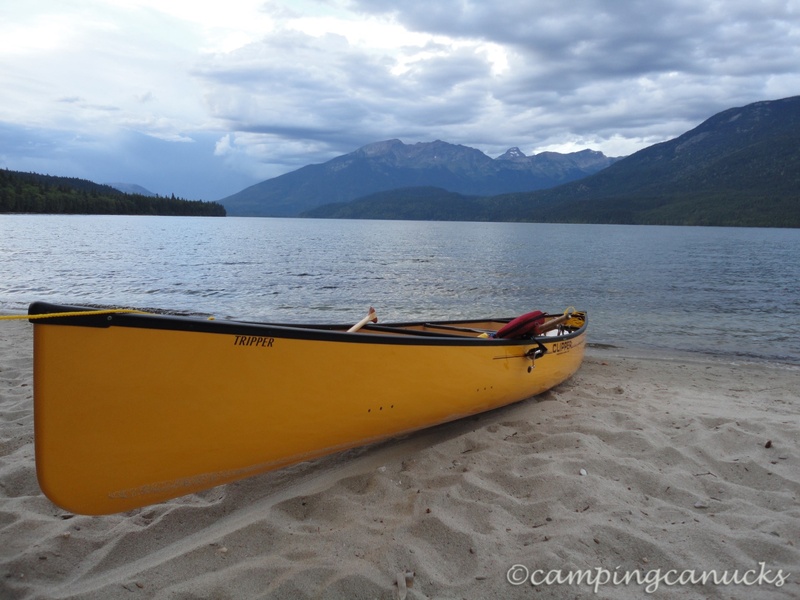 After speaking with the people at Western Canoe and Kayaking, we decided to purchase the Tripper as our touring canoe. As camping on lakes was our primary reason for the canoe, we favoured stability and capacity over agility and speed, which are some of the Clipper’s strong points. Neither of us were new to canoeing but both of us were certainly out of practice, so we spent time just paddling around small local lakes to get a feel for the canoe and just to practice under various conditions. 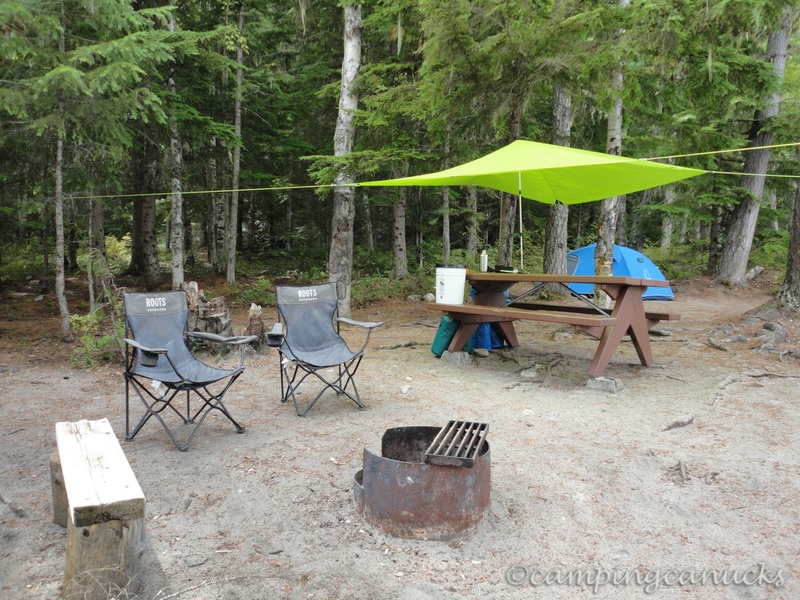 Once we were comfortable and ready to go canoeing and camping, we chose the weekend of our anniversary to be our first overnight trip with Clearwater Lake in Well’s Gray Provincial Park being our destination of choice. 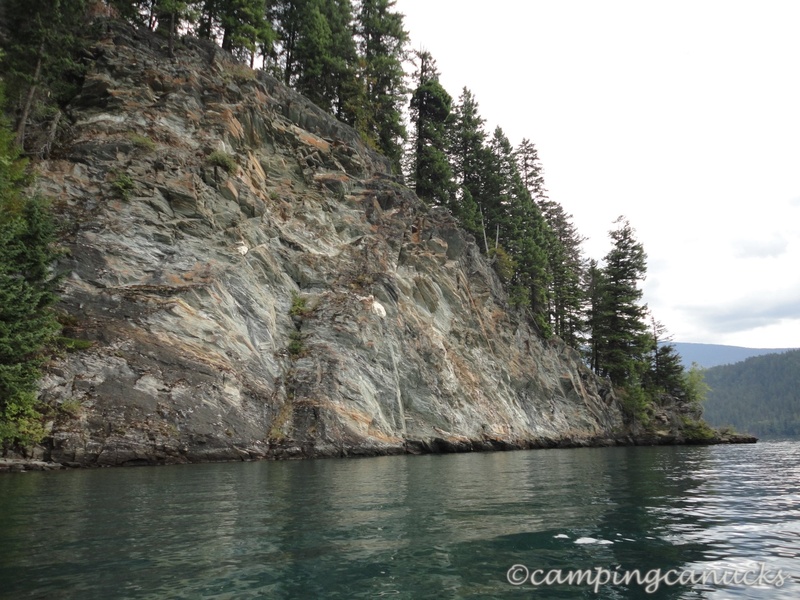 Clearwater Lake does allow power boats but there are restrictions so you will not see the big, noisy monsters that you’ll find on a lake like Shuswap Lake. As well, some of the campgrounds are reserved only for paddlers, and with regular patrols of the lake, you know the party crowd won’t be disturbing your peace. Being that we both worked on the Friday, we elected to drive out to the Clearwater Lake campground after work and spend the night there. This would allow us to get an early start and have a full day to paddle up the lake. We didn’t have a specific destination in mind for where to camp on the lake but just decided to see where we ended up. The weather was mixed as we made our way onto the lake but there wasn’t much wind, which was nice. We crossed over to the west side of the lake after we launched and headed up to check out the various campsites along the way. The first site on the west side is Caribou Beach where we found one group camping. It was a nice site but I could see it being somewhat busy due to it being close to the canoe launch. After a brief look around, we continued on our way to Diver’s Bluff Campground, where we took a break for a snack and a stretch. The camp itself was nice with room for a couple of tents and a bear cache. 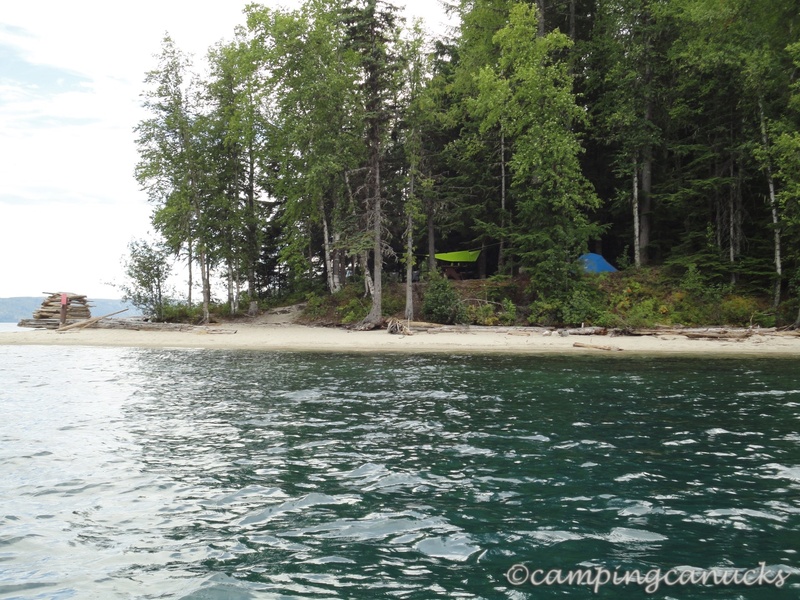 After leaving Diver’s Bluff, it was a long stretch to the next campground at Archer’s Point. Being morning still, we made good time as the winds had not yet picked up. Along the way, the ranger patrolling the lake swung by and said hi and asked where we were headed to which we replied we didn’t have a place in mind. He wished us luck and continued down the lake. Once we reached Archer’s Point, we knew this was to be the place to spend the night. 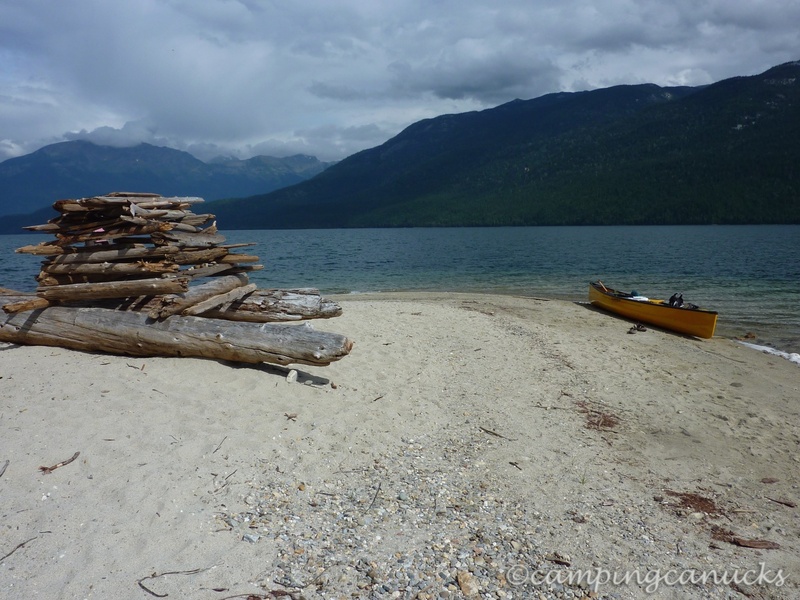 It had a great beach with great swimming and the site itself was top notch and had all the extras; bear cache, fire pits, and picnic tables. Everything was in great shape and we decided to unload, pitch the tent, and spend the night. One of the nice things about canoeing is the ability to carry lots of stuff, so we had a rather luxurious set up with shelter from rain and our lawn chairs. A pretty sweet way to camp compared to backpacking. After some lunch we headed back out onto the water and made our way to the end of the lake. There were two more campsites and some geocaches on the west side of the lake that we wanted to check out. Along our way, the ranger once again came by and commented that we sure liked to paddle as getting to the end of the lake makes for a long day of paddling. We reached the last sites, grabbed the geocaches (and some nicely cut firewood we found), and made our way back to our camp in the afternoon. This was about the time the wind started to pick up so it wasn’t long before we were rolling around in some two foot swells and getting a bit nervous being on the water. Finding a nice beach, we decided to stop for a bit to wait out the storm and have a bit of snack break. It was a short time before the wind settled down and we headed back out again on our way to camp. The rest of the day was spent hanging out watching loons, otters, and other wildlife, playing cards, and reading. It was a relaxing way to enjoy a Saturday night at a quiet remote camp with no other people around. The weather stayed cloudy for most of the evening but we didn’t get rained on. As with most trips when one has a long day, we were off to bed early as we planned to get an early start the next day to make our way back to the boat launch and home. However, in the middle of the night, we got woken up by the most unsettling noise I think I have ever heard. Grabbing our headlamps, we climbed out of the tent and spotted a large greyish shape with bright glowing eyes watching us from a nearby branch. It was an owl, which quickly flew off into the dark. At this point, we could hear three of them hooting away in the forest. Later we learned they were Barred Owls and they made quite a hooting sound that is not like what you usually think owls make. Search for Barred Owls sounds and you’ll know what we mean. The rest of the night passed without incident and we got up and packed for the trip back. Unfortunately, I figured out that I had left our lunch bag and food we had while we waited out the previous day’s storm back on the beach where we stopped. That meant we had to paddle back up the lake to the beach and grab the food. An hour of paddling later, we found that luckily no animal had ravaged it so we grabbed the food and headed to the east side of the lake. Our plan was to stop at each site to check them out and get any geocaches we found along the way as we made our way back to the launch. Once we were across, we could hear the sound of fast running water, which lead us to stream that was flowing into the lake. 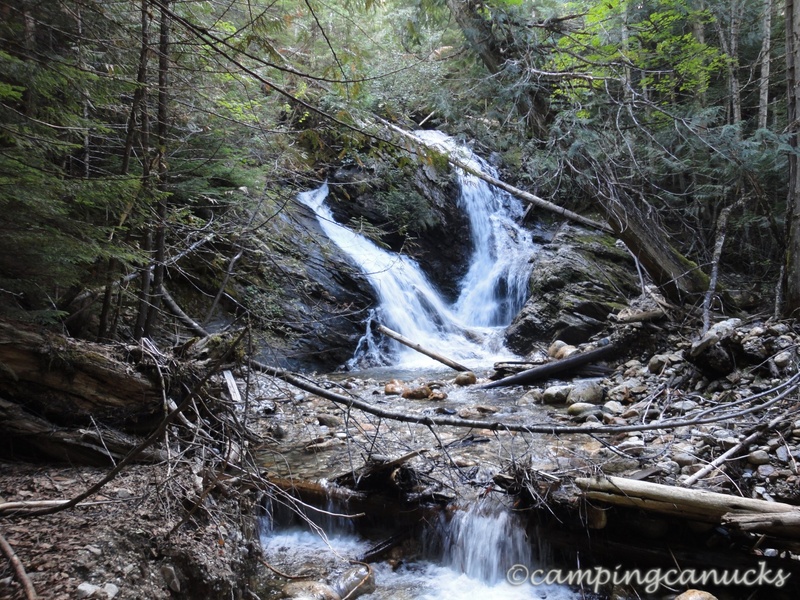 A quick stroll up a nearby trail lead us to a nice cedar grove punctuated by the sounds of a waterfall. From there we continued on our way down the lake, stopping and checking out the campsites. We found there were not a lot of people camping and many of the ones who did camp were kayakers, with a couple of power boat campers present at the more open campsites. Our friendly ranger caught up to us once again. We told him how much we enjoyed the lake and that we would be back again. As the day moved along, the wind picked up and the lake became more and more choppy. Luckily for us, it was nice tail wind that more or less pushed us south back to the launch and the rolling swells were hitting us in the stern so we had no problems with stability. We found the canoe was pretty solid as it was loaded up and barely rolled around. This was a great confidence booster for us. Alongside us were a number of kayakers who were also heading in and we all made good time as we passed the many rental canoes that were on their way up the lake. It was somewhat amusing to watch, as there were some pretty big swells, and it was obvious that a lot of the people didn’t have much experience in a canoe paddling against the wind. Once back at the launch, we quickly loaded up and headed on our way home, wishing we had a couple of more days here with time to head up to Azure Lake. That will have to be another trip. 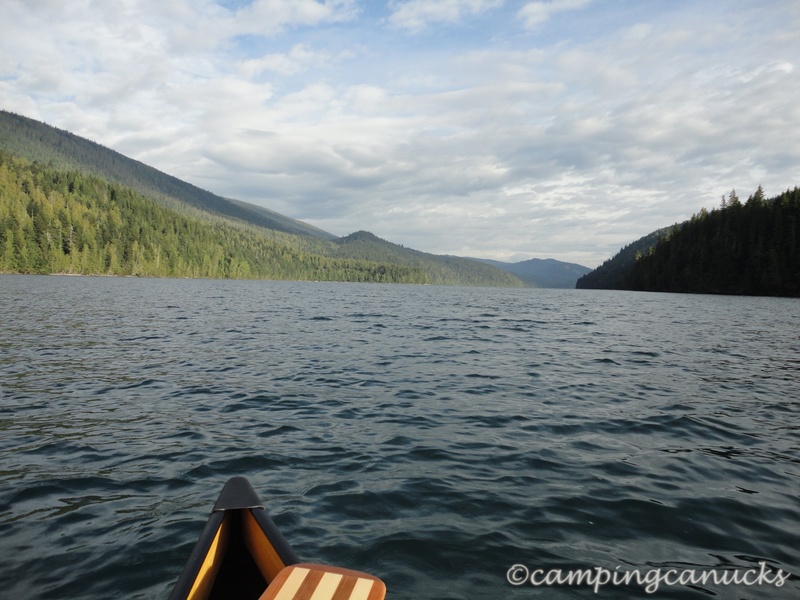 Clearwater Lake was a really nice paddle and a great lake to do a first overnight trip on. 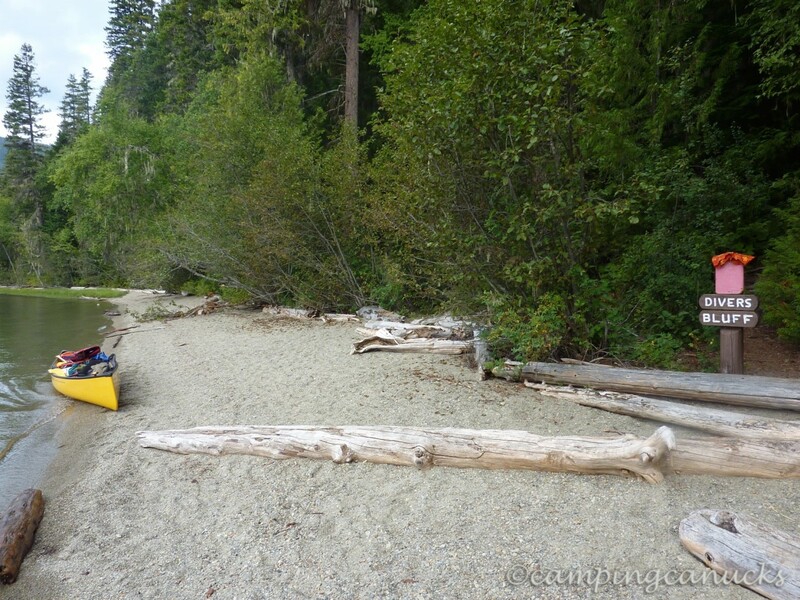 With the number of campsites along the way, there is a good chance you will find your own little piece of quiet. One could tackle most of the lake in a day but we found it was very enjoyable to travel up one side one day, and down the other the next. We intend to come back to this lake and we will be sure to give ourselves enough time to head on further and paddle to Azure Lake. We’ve heard nothing but good things about Azure Lake and look forward to paddling and camping on that lake. 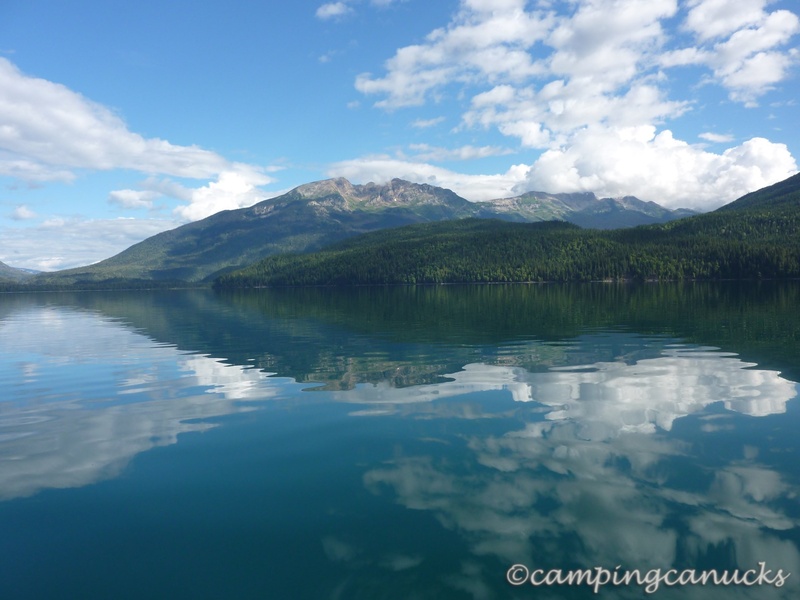 That said, we would certainly recommend Clearwater Lake to anyone looking for a weekend on a very scenic and quiet lake to paddle on.